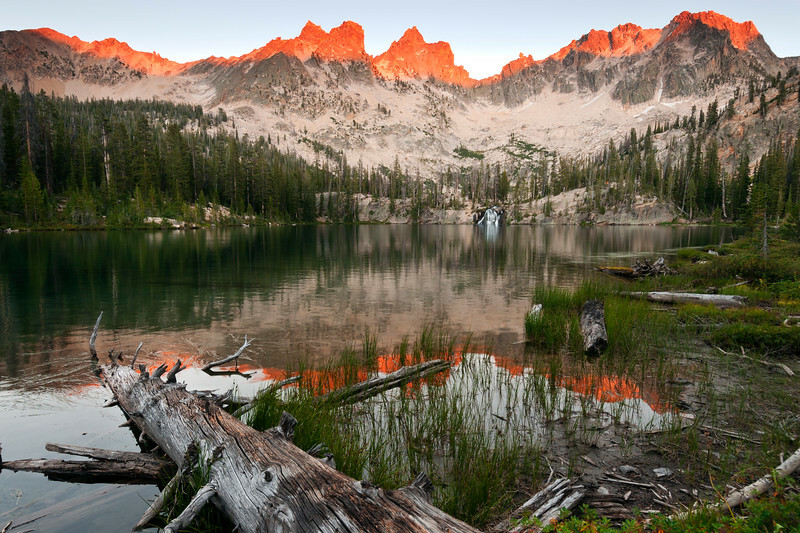 Cramer Lake, with the ring of granite teeth glowing in the altered hues of a distant forest fire. Prominent on the center of the ridge is: the Coffin, the Birthday Cake, Mt. Sevy, and the Arrowhead.